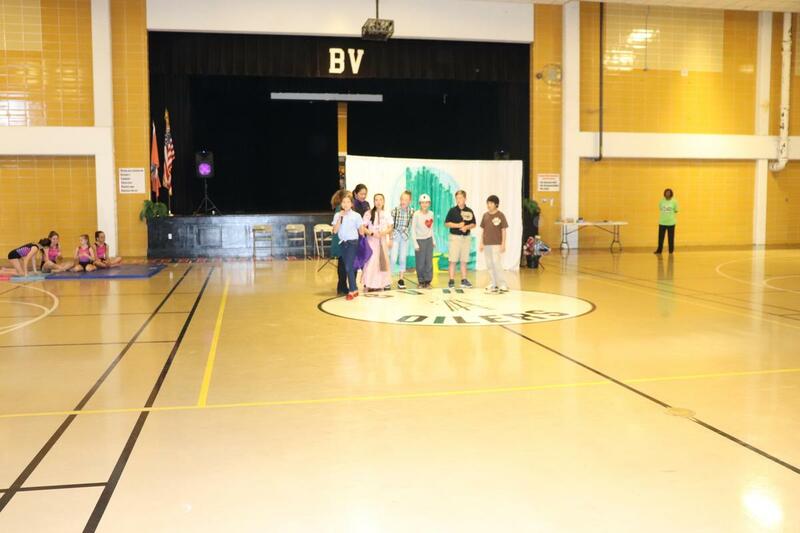 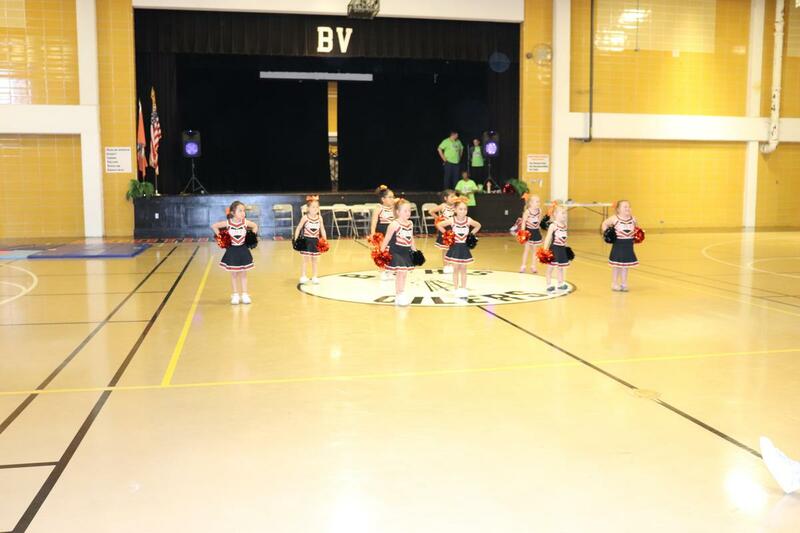 On Friday, March 29, 2019, Boothville-Venice students, staff, and parents filled the gym for their annual Testing Pep Rally. 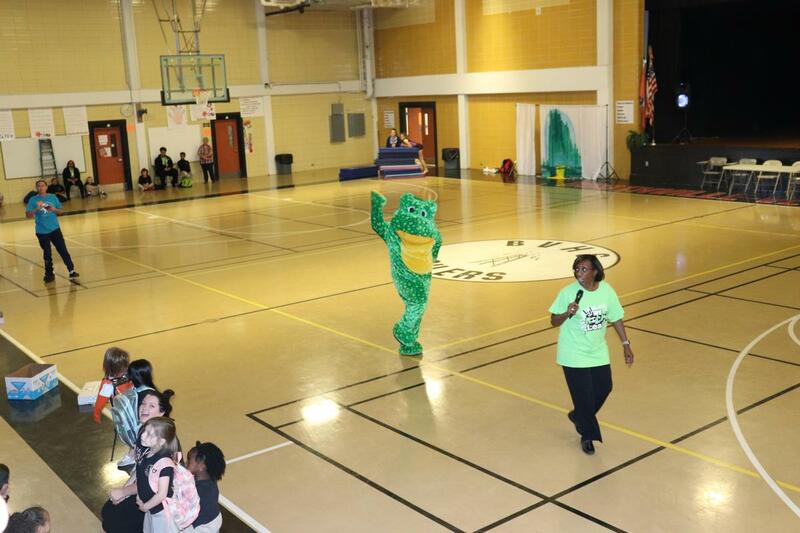 The Pep Rally is geared to excite the students and get them ready the for Statewide Assessments, as well as, educate parents on how they can help the students get ready for testing. 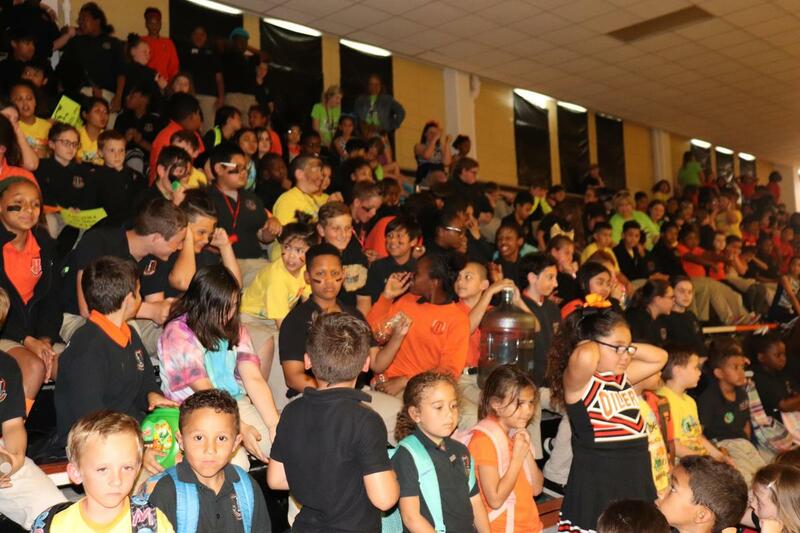 A Ned Video Rap was shown so parents and students would remember the 4 suggestions on helping students succeed: 1- Get a good night's sleep 2- Get a healthy breakfast 3-arrive to school on time 4- do your best. A letter was also sent home with the helpful hints for this testing season. 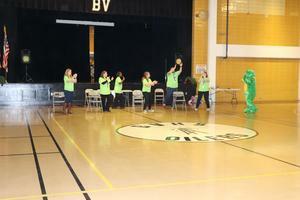 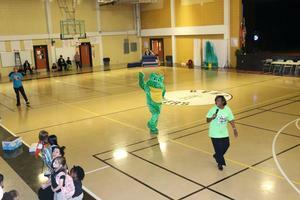 The Pep Rally included the DTR cheerleaders 5-8 and DTR Cheerleads 9-12, BVES Jr. 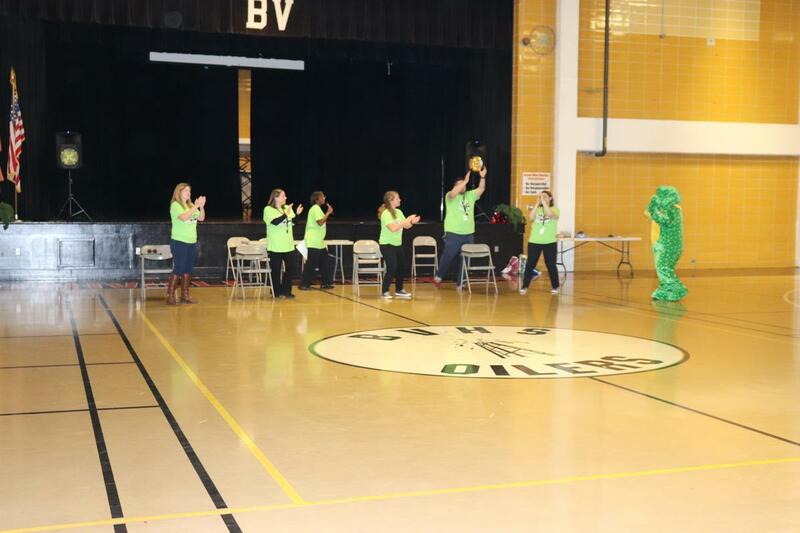 Beta skit-"Off to see the Wizard for LEAP Advice" , Fitness Factory Acro (Devin Louviere), a Staff skit- "I Got a Feeling that We're Gonna Beat the LEAP Test" The LEAP frog, (parent Mannie Cubbage), made a special appearance and participated in all of the festivities. 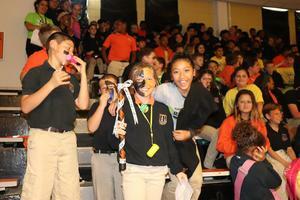 Congratulations to the Headstart, 2nd grade and 5th grade classes for winning the spirit stick in their categories! 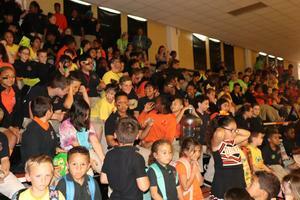 Kuddos to all of the parents and guests who came out to cheer the students on.